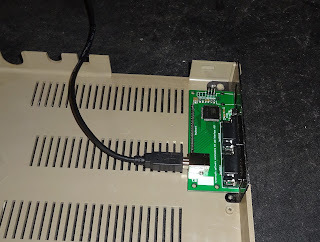 This is an update of a previous post on a Commodore 64 USB keyboard with dual joystick, I have updated the board, and shrunk it a bit. 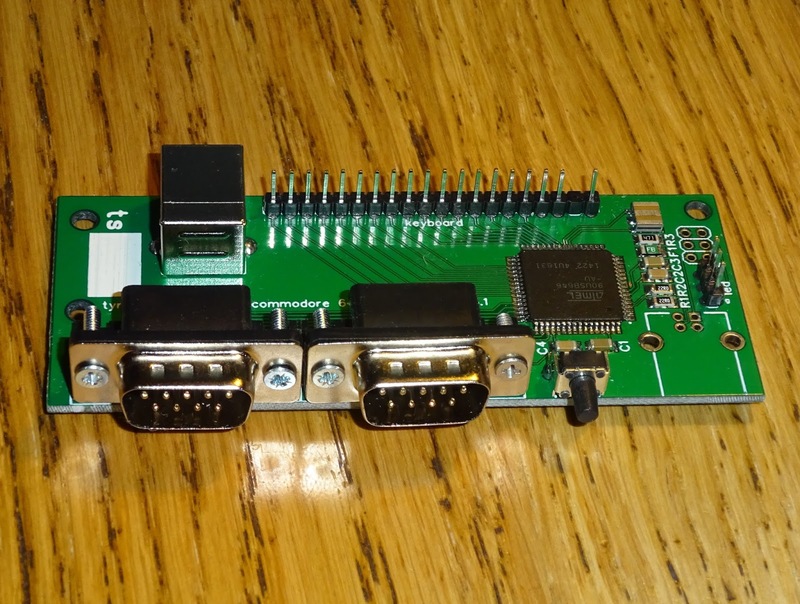 This will convert a Commodore 64 keyboard into a USB keyboard that can be used on a modern PC. 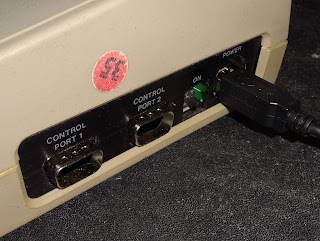 The two 9 way D joystick ports allow standard Commodore / Atari style joysticks (such as my favourite Zipstiks) to appear as USB joysticks for use with modern games or emulators. The new board does not have the DC-DC power option on, so can be a bit smaller. 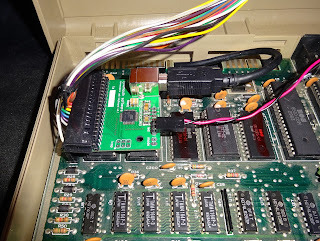 It still has the connection for the Commodore 64/C64C/C16/VIC20 keyboard, two 9 ways D connectors , mode switch and a USB port that can be mounted internally or externally. 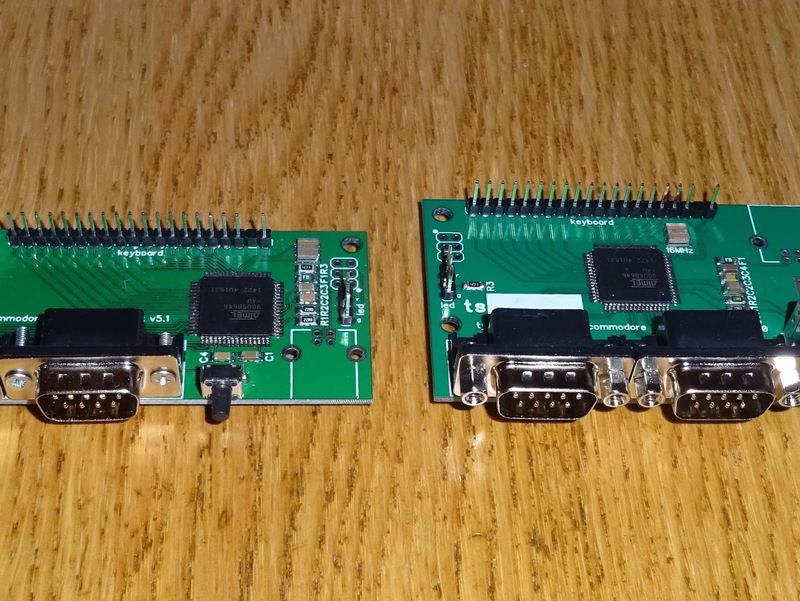 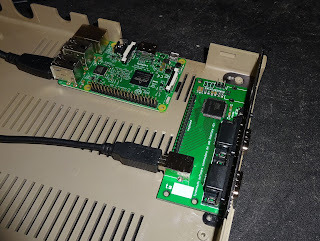 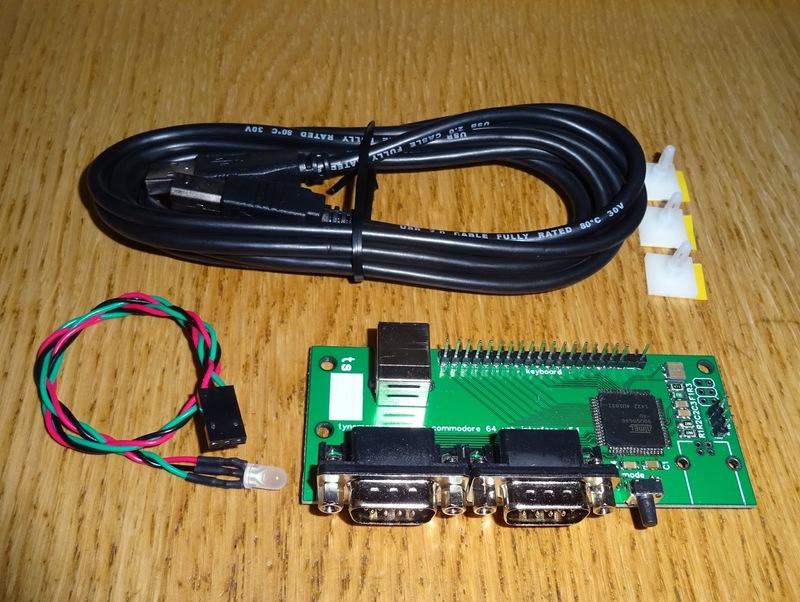 The smaller board now allows it to be fitted next to a Raspberry Pi with it's side connectors accessible via the C64 cartridge port. 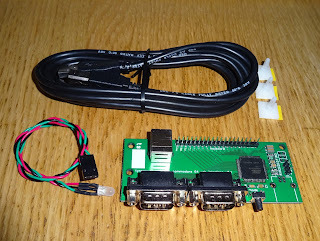 The internal connection can also be used if you want the USB cable to exit from the rear. 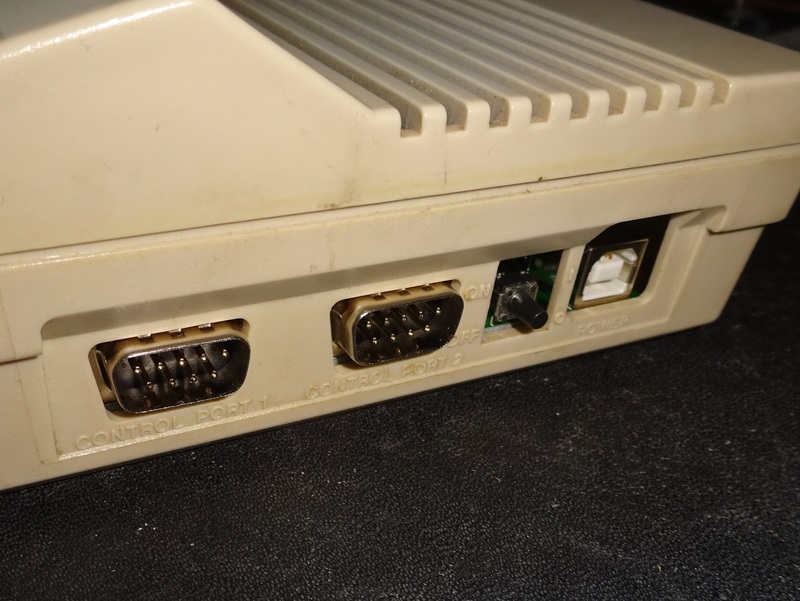 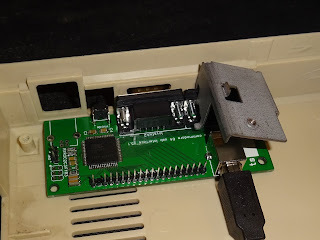 The external USB connector option has the USB port in what was the power connector hole on the side of the C64. The push button where the power switch used to be is the mode switch. This changes the keyboard mapping between normal desktop use and emulator mode. 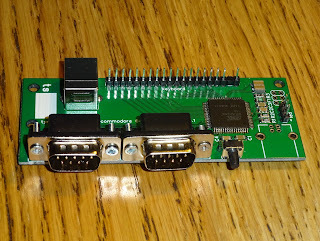 See Commodore USB keyboard kits for more information of the mappings. 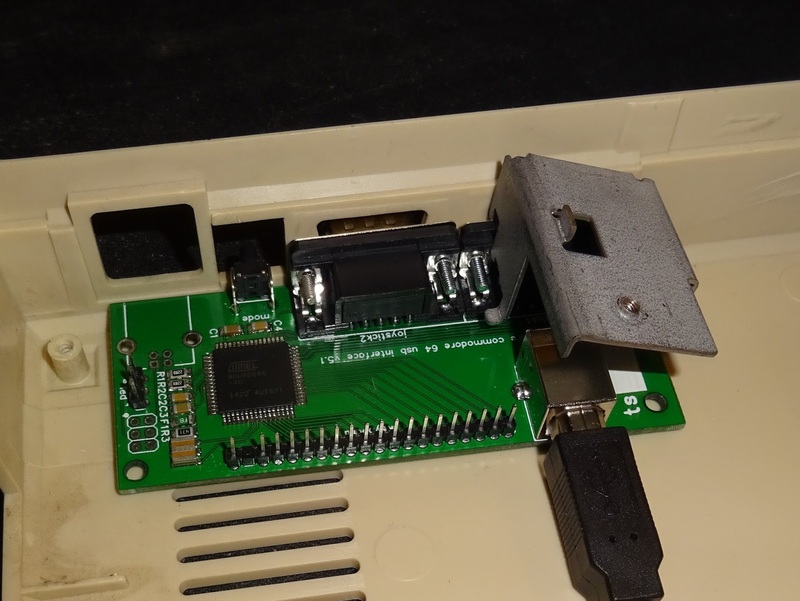 The original Commodore 64 metalwork is retained and the new board fits through the holes in that. The board and metalwork are best bolted to the case to hold them in place as joystick leads are inserted and removed. 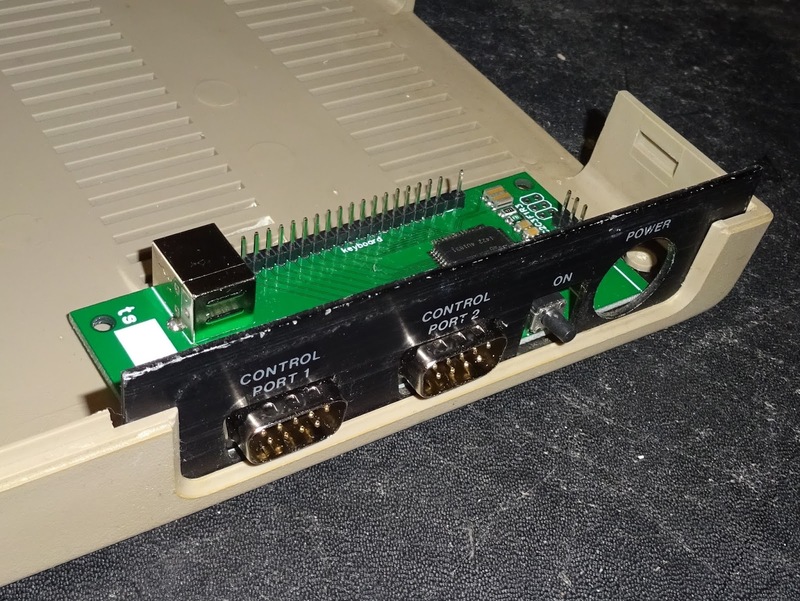 This can be fitted to a Commodore 16 or VIC20, but the metalwork from a C64 would be required to fit the board or leave the metal work off. This is available as a kit, containing the USB keyboard and dual joystick controller, mounting pillars, replacement LED and USB lead. 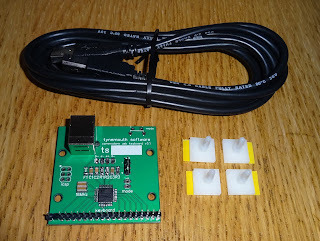 The kit can be ordered from my Tindie Store. 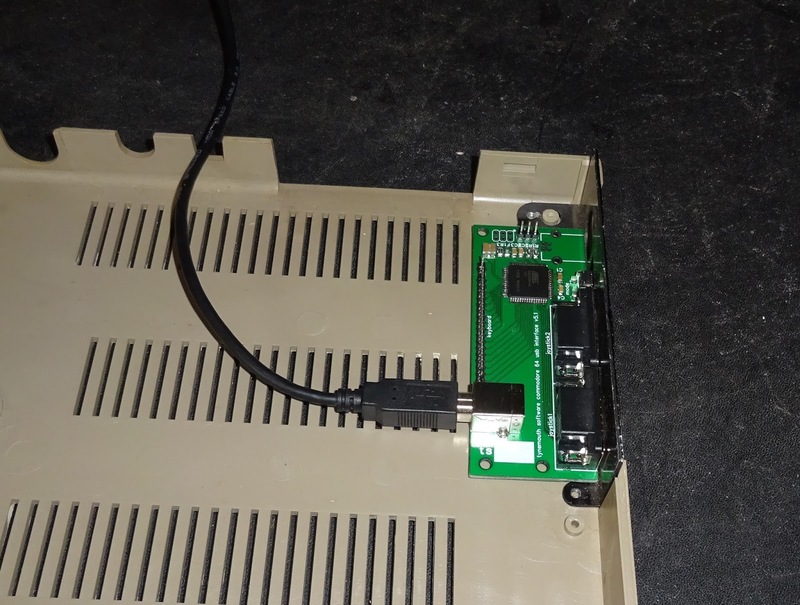 See also Commodore 64 shared USB keyboard controller, share the keyboard between the Commodore 64 and a USB keyboard.